Ocean and ICW Views! 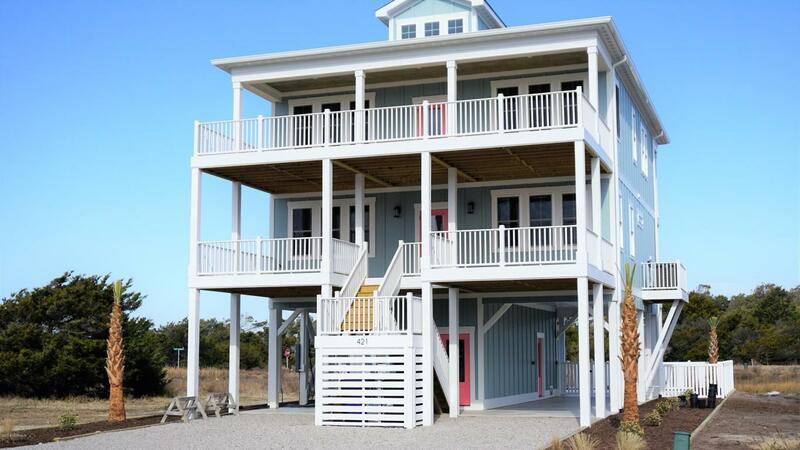 NEW construction- High Quality, reverse beach home plan on the beautiful West end of Ocean Isle Beach! Master bedroom, kitchen and living on the top floor. Four bedrooms, 3.5 baths with walk in showers and closets. Two living rooms (one per floor). First floor living can be converted to fifth bedroom if needed. Impact windows, stick built roof, outdoor shower, custom tile, and immaculate trim carpentry, high quality shaker cabinets. Large kitchen with island, stainless appliances including fridge, and very large pantry. Luxury Vinyl Plank Flooring with custom tile in baths. ELEVATOR and outdoor shower. Covered porches and open decks on both front and rear of home. Excellent rental potential.